2018 Ford Flex For Sale In Vernon, Kelowna, Okanagan, BC. 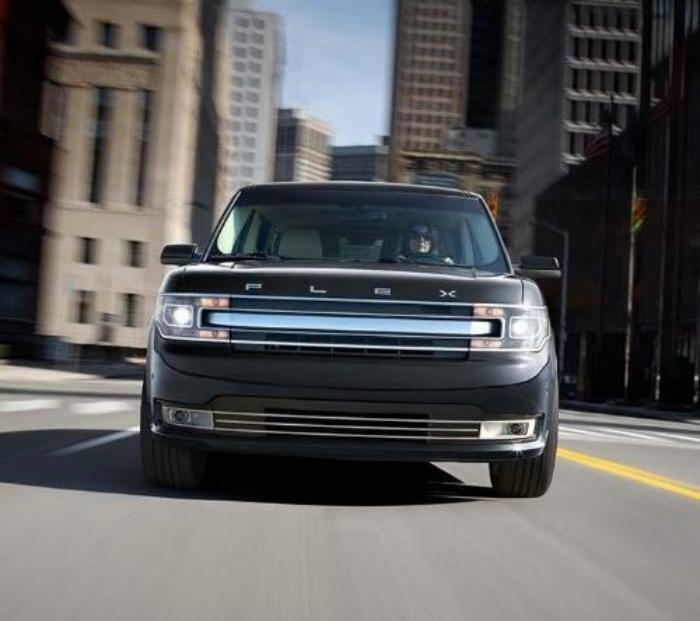 Stylish and composed, the ﻿﻿2018 Ford Flex﻿﻿ emerges with grace and confidence. Through its unique four door design and impressively spacious seating for up to seven individuals, this vehicle enables you to experience your routine with an intriguing twist. Available trim levels include the SE, SEL, and the Limited. 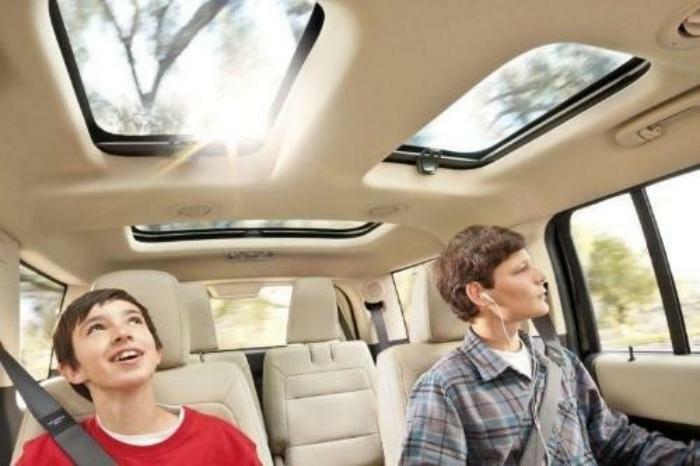 As you drive the 2018 Ford Flex, you are given access to an environment of smooth refinement and elevated luxury. Surrounding you are details such as the available Yoho Maple Wood Grain Appearance Appliques as you find yourself at the center of a well-thought-out design. Relax on the available perforated leather-trimmed seats with available heated and cooled front seats to help regulate temperatures year round. Furthering this temperature monitoring is the Dual-Zone Electronic Automatic Temperature Control and its ability to maintain two different front temperatures at the same time. Keep your hands comfortable through the available perforated leather-wrapped and heated steering wheel as the mounted cruise, audio, and 5-way controls ensure that you have constant access to your settings, without distraction. Advanced amenities are found throughout, such as with the available refrigerated 2nd-row console with the 40/40 bucket seat configuration as the 50/50 3rd-row fold flat bench seat enables you to bring along more cargo than you ever thought possible. 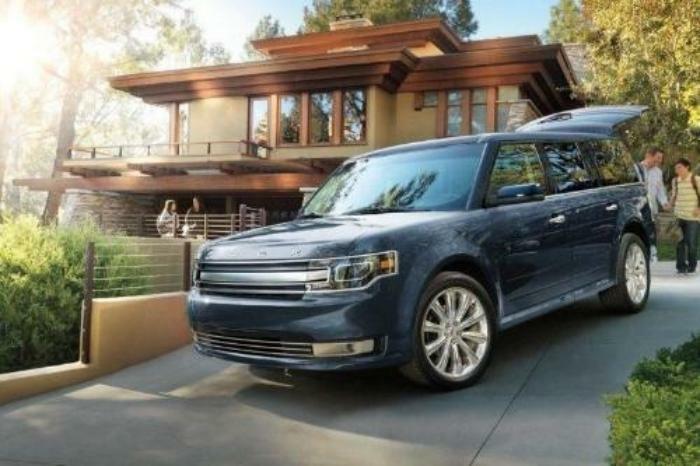 A striking exterior is presented on the 2018 Ford Flex as you embrace a vehicle, unlike the rest. Through its available 19” painted aluminium wheels, available chrome door handles and grooved door panels, this design comes together to represent a different take on the driving experience. A Satin Aluminium liftgate applique and Satin-Aluminium grille elevate your aesthetics as the bright dual exhaust tips ensure onlookers are aware of the performance help within. 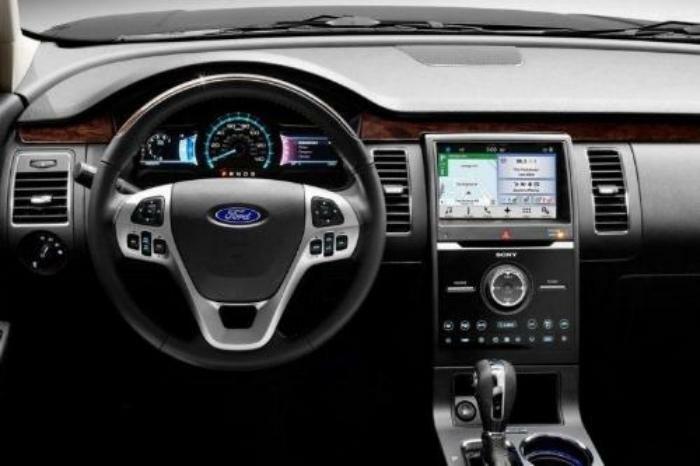 Connectivity comes forward in abundance with the 2018 Ford Flex as you enjoy the available SYNC 3 with Bluetooth capability for hands-free access to your compatible devices. You are given an optional Voice-Activated Navigation System to help you find your way without taking your eyes off the road. Keep the troops entertained through the optional Dual-Headrest DVD Entertainment System as the SiriusXM Radio provides you with over 120 channel of commercial-free music, live play-by-play sports, world-class news and comedy. Expressive your style on the 2018 Ford Flex as you equip your vehicle to meet your preferences through Genuine Ford Parts and Accessories. You are given the option of increasing organization through a variety of cargo organizers as you enhance protection through the seat savers by Covercraft and variation of floor liners. Expand cargo carrying capability with a series of roof rack and rails as you store large or awkward items up top. Do not let is family-oriented design fool you, the 2018 Ford Flex is rich in performance capability and adrenaline-inducing features. You are given an available Intelligent All-Wheel Drive system to aid in traction and stability in a variety of conditions as the impressive 3.5 L engine options delivery power for any situation. Smooth handling accompanies you through the 6-Speed Selectshift Automatic Transmission where responsive shifting quality makes its mark. WIth advanced design and capability, the 2018 Ford Flex has been recognized with the following awards. From its modern appearance to its innovative design, the 2018 Ford Flex promotes a refined driving experience as it enhances durable performance without sacrificing functional agility. Explore the 2018 Ford Flex at your local Vernon Ford Dealer – Watkin Motors Ford.Through a wide selection of new inventory, Watkin Motors Ford can present you with all of the options so that you can make the right choice.